Hello! I'm back, and very jetlagged. I still have a couple of old posts to share, but I will show you some of my polish con goodies soon! 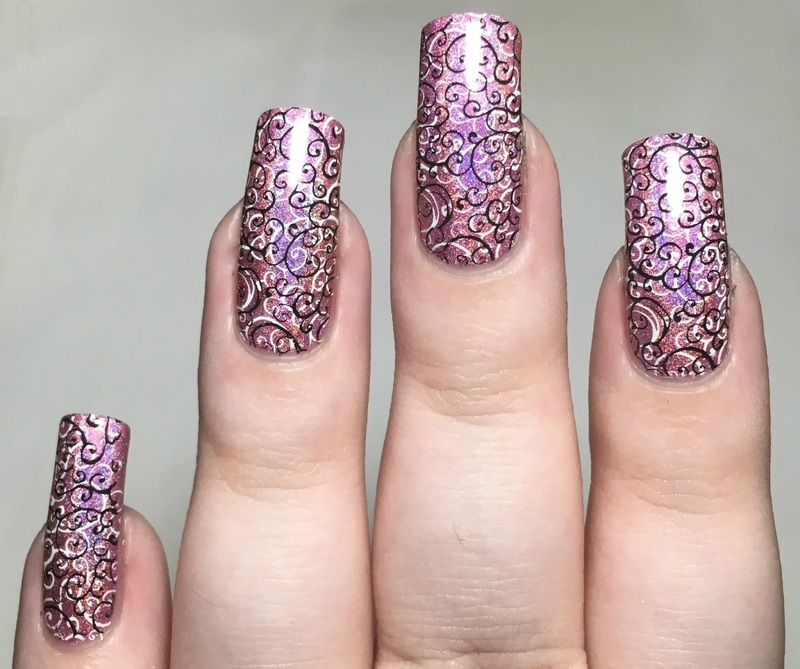 Todays post is the last 26 Great Nail Art Ideas prompt, 'Your Signature Style' (see my post for 'Autumn' here). My signature style seems to be taking over a year to use a polish. 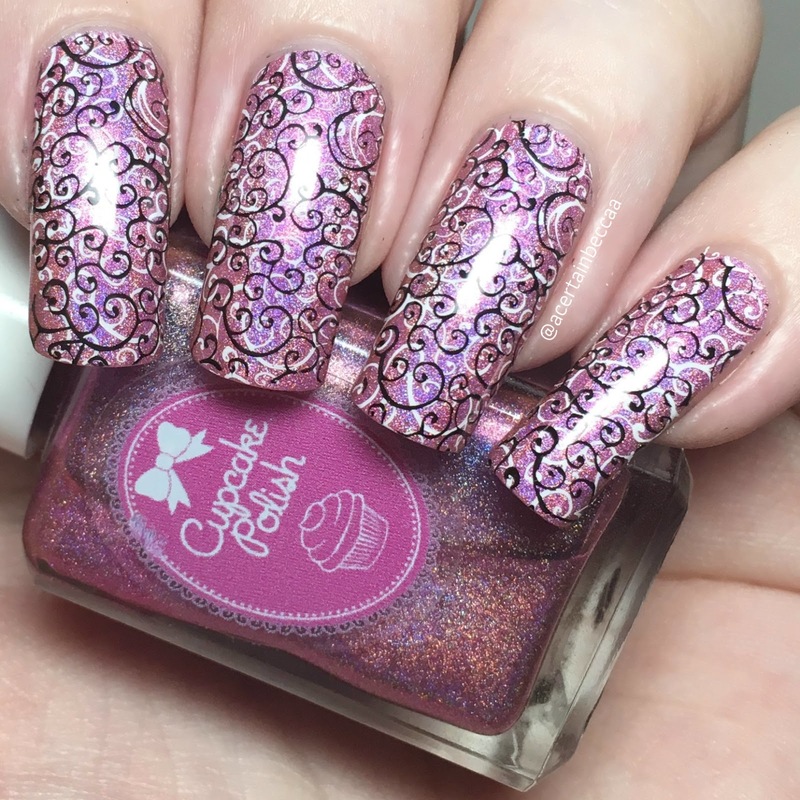 I bought Cupcake Polish 'Chicago' a good two years ago to wear on one of my US trips, and only just did so for this years Chicago Polish Con. Read on for more info! 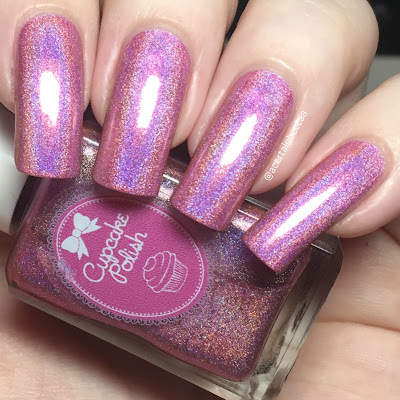 Cupcake Polish 'Chicago' is a very purple leaning pink holographic. My bottle seems to be much pinker when compared to other swatches. As I got it from a destash, this could be due to many reasons. It is still gorgeous though! It has a smooth and easy to apply formula, and builds up in two easy coats. Below is two coats with topcoat. 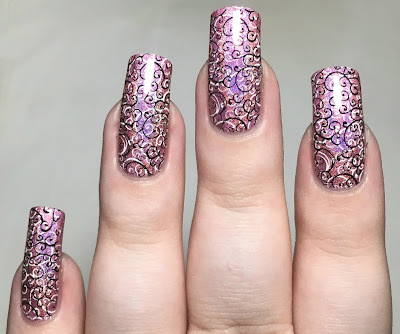 To add my swirls, I used the top right pattern on UberChic Beauty plate Fairytale-01. 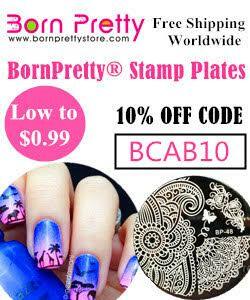 I double stamped, first in white using Hit The Bottle 'Snowed In', and then in black using Hit The Bottle 'As Black As Night'. I finished by topcoating to seal everything in. What do you think? I was really happy with this as my Polish Con mani! It held up on my nails really well, and I didn't take it off until at least 10 days later. 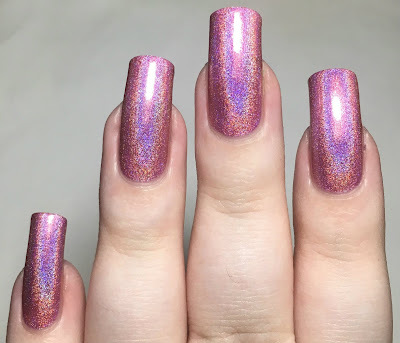 Luckily, bottles of 'Chicago' were a steal at the Cupcake Polish table, and I managed to pick up a new, more purple bottle for only $5. I'll have to swatch it soon! As mentioned earlier, this is the last 26 Great Nail Art Ideas prompt! I can't believe it's been a year already, and I've loved taking part.